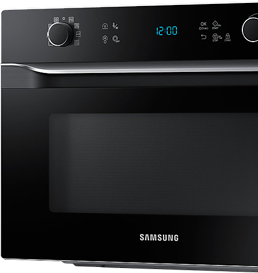 We supply a wide range of original Samsung parts for microwave (ovens) because we are an authorized Samsung partner. This means we are always able to provide your with a new glass plate or a new microwave rack. Order a suitable part for your microwave by entering the model code in the grey bar above. Where can I find the model code for my Samsung microwave? You would like to order original parts for your microwave. 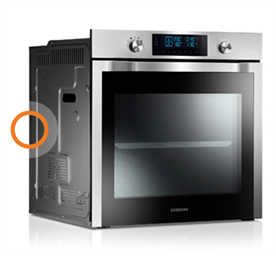 Simply enter the model code of your appliance at Samsungparts.eu. Enter the model code in the grey bar above, and you will be directed to the product page of your appliance. Here you can see which parts are available. On microwaves, you can find the model code on a label on the backside or inside the microwave. The code is a combination of letters and numbers. If you need advice when purchasing parts or if you cannot find the model code, our Support Desk is happy to help. Microwave dish: have you lost your microwave's turntable or is it broken? You can order the right microwave turntable for your appliance in our web shop. Microwave light bulb: order the right microwave light bulb from us and replace the one in your microwave easily yourself. If you need advice on ordering the right parts, we are happy to help you. Please try to find the model code or model number of your Samsung built-in appliance in advance. After you have found the model code or model number, please contact our Support Desk. A member of our staff will help you to find the right part.